Which SUP for Big Guys? Having a board that’s going to carry your weight is essential. Nobody wants a board that will leave you diving face-first into the water the second you put your toes on it. 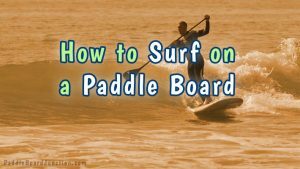 If you’re a more experienced rider, you need a SUP that can support the weight of you and your equipment. And your dog, who always wants to tag along for the ride. Or maybe you’re just looking for that extra security. 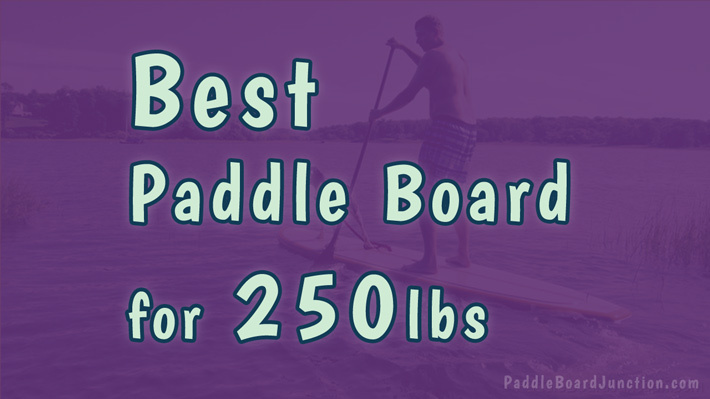 A paddle board that can hold more weight is going to keep you safer. This big-man SUP is about as tough as an inflatable board can get. 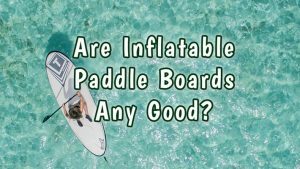 It’s built with military grade PVC, allowing you to travel through the roughest of waters without having to worry about the board collapsing underneath you. There’s space for up to three removable fins, so you’ll be sure to have smooth sailing no matter what you encounter. For those experienced users who want to bring their equipment, attached to this iSUP are four stainless-steel rings connected by a bungee cord. You’ll have room to securely store everything you could need. This board also comes with an additional ring in the back for those who rider’s who want a tether. The Ten Toes Weekender measures at 10’x30x6″, but can be deflated to 11×36”, so you can pack it up and be on your way worry-free. 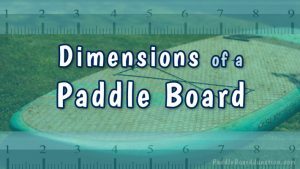 This paddle board weighs 30 pounds and comes in a variety of colors, including blue, grey, blush pink, black and red, seafoam, and green. This Solstice Bali is another great option for those who want to bring some equipment. With four stainless tie-downs, everything you want to bring will stay safe and sound. Constructed from durable 3 layered PVC material, this iSUP is practically indestructible. 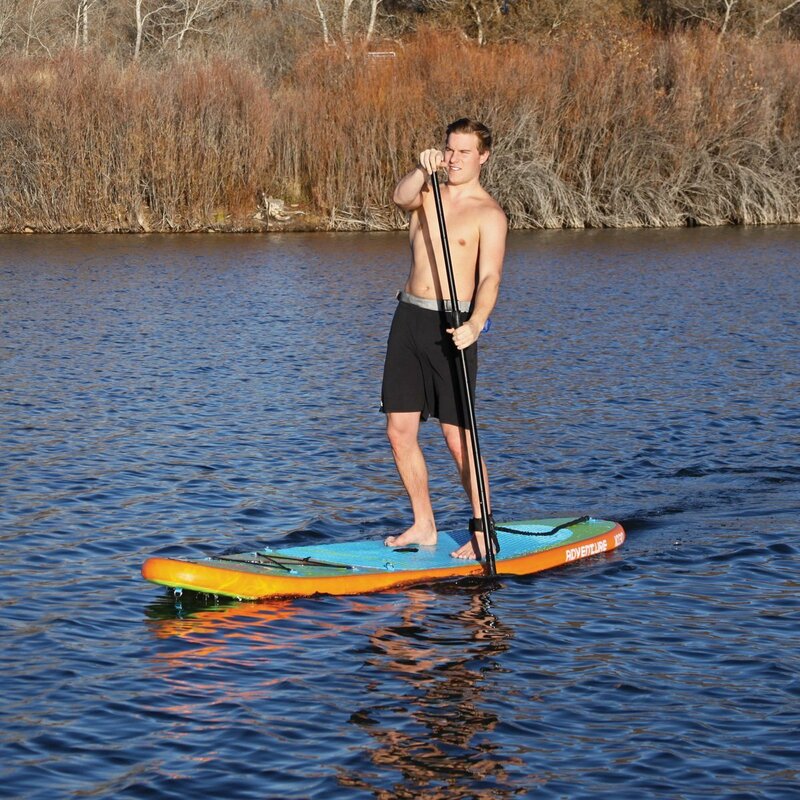 And since it’s wider than most paddle boards, it’ll keep you stable no matter what conditions it may face. This is one trustworthy board. The EVA traction top offers maximum comfortability, so not only are you riding with safety, but you’re riding with ease. Similar to the previous board, there’s a D-ring towards the back to clip a leash. But you’ll be so secure that there’s no way the board will get away from you. The Solstice Bali 10’8” has a 4 inch thickness and can be deflated to 32”. It comes in grey/orange and measures at 39.4 lbs. But, when you’re riding it, it’ll feel weightless from the way it glides over the water. The SportsStuff Adventure is built to endure anything, even riders up to 250 pounds! With its super strong drop-stitch construction this inflatable SUP is made to survive in all environments, from calm lakes to raging seas. This iSUP is the ultimate board for those who want to bring anything on their travels. 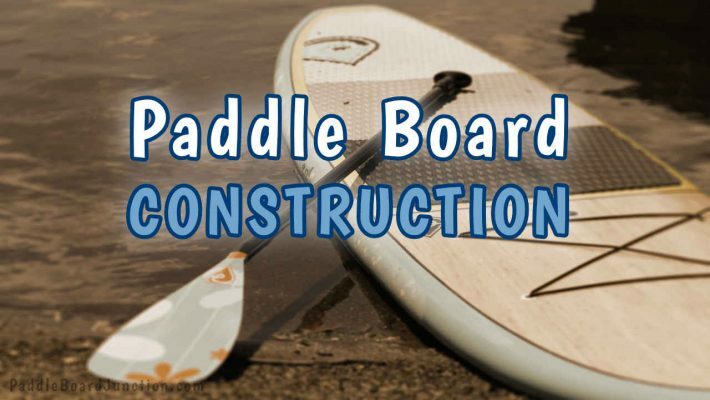 It includes 8 D-rings: 4 with a bungee cord, 2 for an optional kayak seat (which matches the paddle board), 1 for a leash and 1 located on the bottom to tow. This board has room for anything you may need. The EVA deck pad is composed of anti-skid material that allows users to stay safe if they encounter any difficult waters. There’s no way you’re falling off of this board. 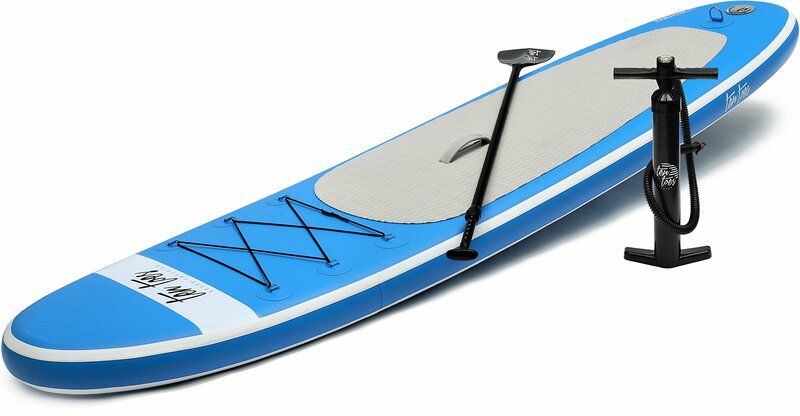 The SportsStuff Adventure measures at 10’6” length by 30” width and 4” thickness. 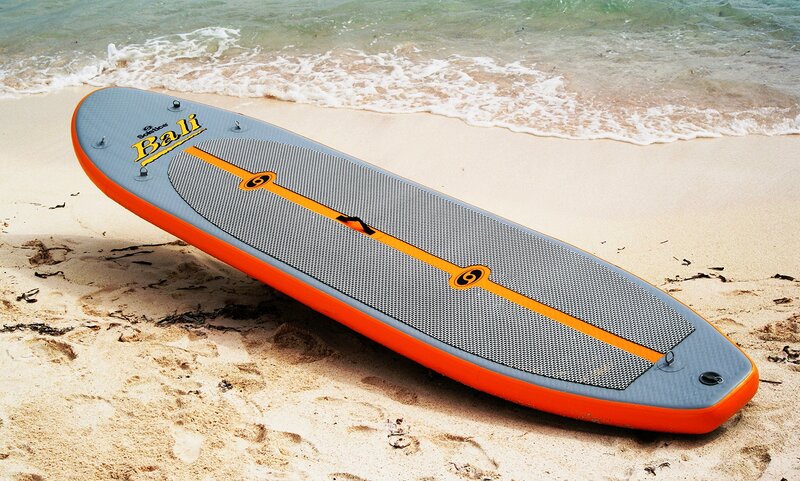 It’s the perfect board for the summertime with its fluorescent green, blue, and orange color. All three of these boards do way more than just carry the weight. They are durable and stable, keeping all users safe no matter where they’re going and what they bring with them. 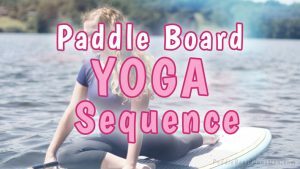 If you’re interested in yoga paddle boarding, the Ten Toes Weekender will ensure that you stay balanced when you practice your scorpion. Both the Ten Toes Weekender and Solstice Bali are best for beginners who want to practice on slower rivers. Take your family out with either of these boards for the perfect summer day out. The SportsStuff Adventure 1030 can fight against difficult conditions, so if you’re looking for a board that can cut through those crashing waves, this is the one for you.